Clothes should not frustrate you – plain and simple. reversecommuter loved this dress (click here to read about it), but when I went to try it on I literally got tangled in the change room! There was an extra layer inserted at the waist to reduce how see through it was, but it was SO encasing and confusing! Luckily I was in James Perse (click the blue to ooooh and awwww on the website) and it is not difficult to find something to love in that shop! 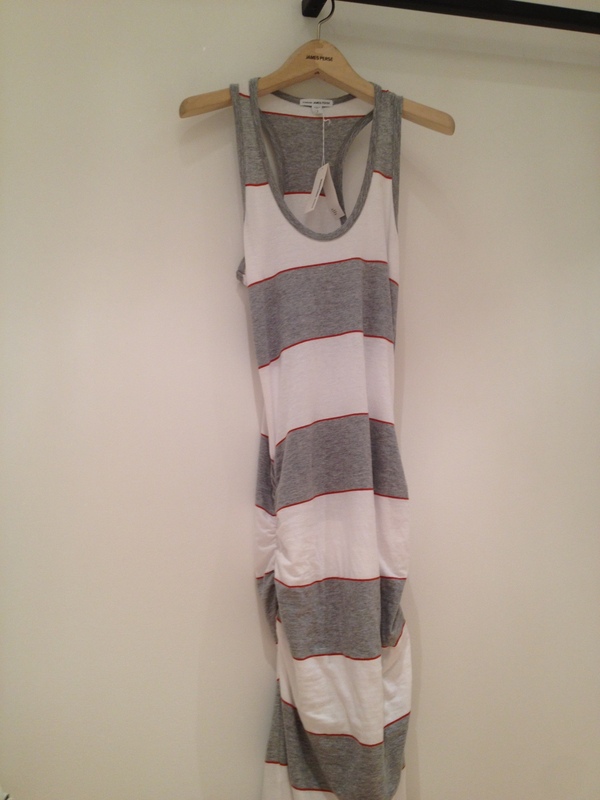 James Perse tank dress, Prada Sport cork wedges, Chanel sunglasses. This entry was posted in accessories, Boston fashion, Boston suburb fashion, Fall Fashion Trends, Fashion, Media, Shoes, Shopping, Spring Fashion Trends, Technology, Trending, Trends, Uncategorized and tagged Chanel Sunglasses, complicated designs, cork Prada wedges, James Perse, lining, Prada Sport Wedges, ruched tank dress, ruching, tangled in clothes by reversecommuter. Bookmark the permalink. And you get all frustrated and hot and grumpy – none of which are good shopping adjectives! And for the follow too!!! Love Love Love the name of your blog!!!! I have a shirt like that – pain in the a$$ to get on. 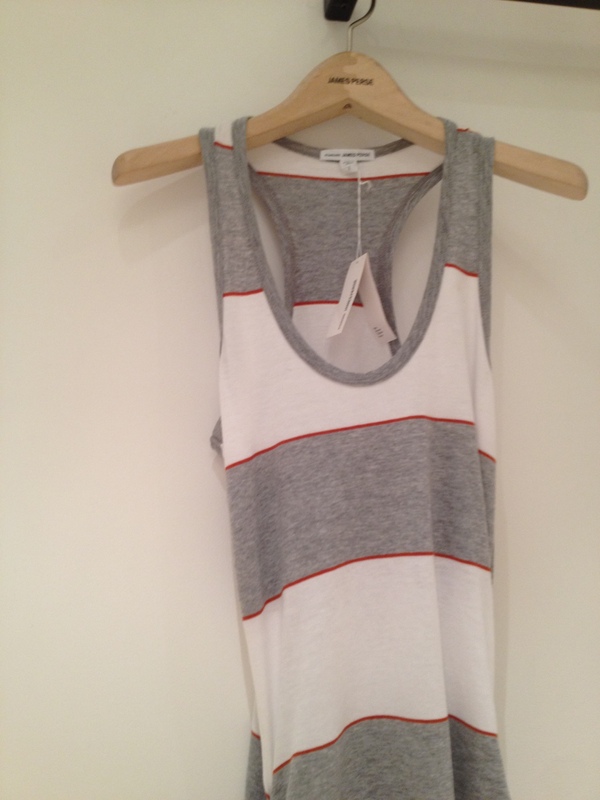 Love the grey tank – perfect for your figure. Yup – I cannot even tell you how many wrap sweaters I have bought over the years and each purchase reminds me how much I hate being tangled!!! You look great! Reminds me that I own the long sleeve version. Super forgiving especially after this long weekend of almost non-stop dining out…sigh. LOL – gotta love the beauty of rushing!